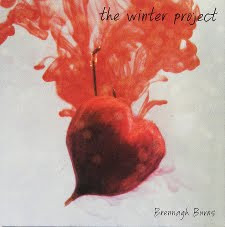 Dunnville singer/songwriter Brennagh Burns has enlisted Hamilton's Rob Lamothe (guitar, producer), his son Zander (drums) and Mark McIntyre (bass) to play on her debut CD EP, the Winter Project. The four-song collection features Brennagh's striking vocals and great songwriting. Instrumentality, the CD has a very modern alt-folk feel to it. The disc is available at Brennagh's outstanding live performances. We'll be posting some footage of a recent show soon. Below are a few videos of her performing songs from the EP. It is our sad duty to report that local musician, producer and songwriter, Randall Cousins passed away on Saturday January 15 after a brief battle with cancer. A memorial in his honour of will be held on Friday, January 28th, 2011 at 2 pm at the Salvation Army Medowlands Community Church 187 Stone Church Rd Ancaster. Visitation with the family starts at 1 pm. Comments have started coming in to his Facebook page. "He's now organizing songwriters in heaven to put out a CD for the universe....will be missed"
"Shocked and saddened to hear about Randall Cousins. Randall gave me my very first gig as a pro musician. I was a harpsichord major at Mac, and all I had was a red Telecaster and a DX7 on a borrowed restaurant tray stand. If it weren't for him, I don't know where I'd be right now. RIP Randall. May you come up with many more clever puns in music heaven." Soul, jazz, folk, funk, pop, blues, instrumentals, slow songs, rockers . . . There's something for everyone on A Place in My Heart, the 5th Design Hope Compilation CD. Money raised from the sale of the disc goes towards helping the homeless in Hamilton. 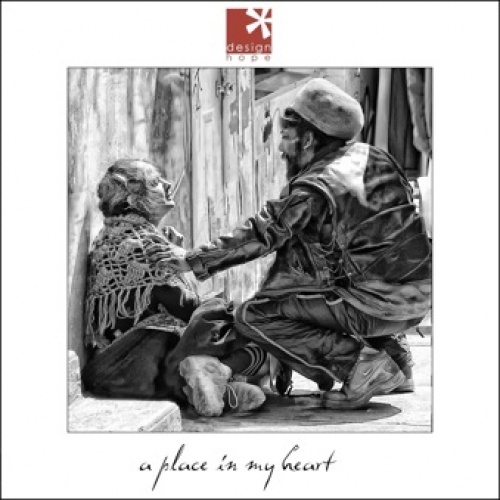 A great cause an an amazing album. Performers include City and the Sea, Kensington Prarie, Fred Magie, Annette Haas, Bob Doidge, Frank Koren, Carter Lancaster, Chris White, Karen Corinth, Mark LaForme, Sharon Musgrave, Danny Lockwood, NLX, Chantal Chamberland, Melissa Bel and Buckshot Bebee. Many of these musicians also play on each other's songs. Christopher Clause and Amy King produce the album as well as back up a number of the main artists. Also helping out are Mark McIntyre, Colin Lapsley, Brian Griffith, Andrew Aldridge, and more. Like all of the Design Hope collections, it's a great way to hear new songs from some of the best musicians the local scene has to offer. The CD can be purchased online. Below are a few songs from the CD Release party at This Ain't Hollywood on January 23, 2011. Click here if you can't see the videos. These last two video are performances of the songs from other shows. Live performance at 7 min mark. This was part of their CD release Party. Click here for a review of the disc and more live performances from the show. Local musician Rita Chiarelli and Hamilton's own late, great King Biscuit Boy were honoured for their entire body of work at the Maple Blues Awards on January 17, 2011. Both received lifetime achievement awards for their legendary careers. Congratulations. Ottawa's Monkey Junk, who played last year's Blues With a Feeling gala, were the big winners with 3 awards (electric act, harmonica, drums). Milton's Shrimp Daddy also won best new artist. 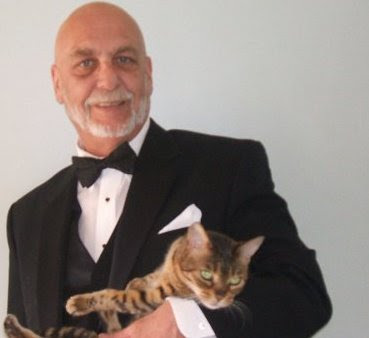 Frequent Hamilton visitor, John Mays (Fathead) received the best male vocalist award. Legendary Canadian Blues band, Downchild (featuring another frequent guest to the city, Chuck Jackson) won Best Recording for their CD, I Need a Hat. 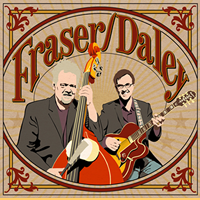 Former Hamiltonian Mike Daley (Uncle Violet), and Alec Fraser (Jeff Healey, Jack deKeyzer, Mel Brown) have teamed up as Fraser/Daley to create a superb self-titled CD of high energy folk blues. The duo works extremely well together. Both have distinctive vocals that mesh perfectly when they harmonize. Daley is a talented guitarist and Alec is rightfully renowned for his bass playing. You'll definitely be tapping your toes and clapping your hands to these great examples of traditional country blues. Alec and Mike put their great spin on old classics like Bad Luck Blues, Welcom Table, Keep It Clean, more and also work their magic on original numbers like 140 on the 401, Homesick Daddy, Turn This Rig Around, etc. The CD is available at their shows and as a download at their web site. Below are a few videos from their CD Release Party at the Casbah, featuring songs from the new disc. We'll be posting more from this show later. 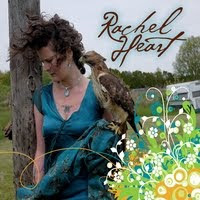 . .
A while back, local singer/songwriter Rachel Heart released a new, wonderful self-titled CD. The disc combines the best of roots rock, country, pop, and more along with her great, expressive vocals. Rachel's songwriting talent is evident here and she's joined by a first-class teams of musicians (the percussion is especially accomplished). Every song on this collection has its own distinct character. Highlights include Ashes and a Steel Rod (very catchy), Brightness (upbeat and infectious), Blue Grandmother (slow and haunting), You Might Think (catchy country), and Cherub (really funky). The CD is available at her shows (unfortunately she doesn't play Hamilton that often), at Pick and Sticks, and as a download on cdbaby and iTunes. A few months ago, we posted footage of her CD Release Party. Click here to view all our videos of that show or view the sample below. When the Maple Blues Awards are handed out on January 17, 2011, local blues legend Richard Newell, aka King Biscuit Boy, will be recognized for his body of work. Toronto, ON (January 11, 2011) – Hamilton blues legend Richard Newell a.k.a King Biscuit Boy is set to receive a special posthumous lifetime achievement award at the upcoming Maple Blues Awards on January 17. Newell, a lifelong resident of Hamilton, Ontario and a pioneer on the blues music scene in Canada was best known for his mastery of the harmonica. A member of Canadian rock icons Crowbar and a two-time Juno nominee, Newell shared the stage with Muddy Waters, Joe Cocker, Etta James, and Ronnie Hawkins, who is credited with discovering him. Each year since his death in 2003, The Friends of Richard Newell have held a benefit concert in his memory, with the money raised going to a music scholarship fund at Mohawk College of Applied Arts and Technology in Hamilton, Ontario. Mark Foley, Tim Gibbons, Rick Andrew (Shakers), Dave Rave, Jack Pedler (Teenage Head) drums, Mick Northcott (Banned From Heaven)(except Let's Shake), Stephen Foster (Crawlin' Kingsnakes), Cragg Bender (Burnin' Ethyl) on Let's Shake. Left to right: Busker Al (guitar-left, vocals on He Stopped Loving Her Today), Tim Gibbons (guitar, vocals), Mike Williams (bass), Drums: ? There is a lot of music going on near Augusta street downtown every Thursday. Here is a sampling. The Eggmen are (left to right): Doug Feaver, Rick Andrew (Shakers), Steve Sinnicks (drums), Jonny Kerr.